If you’ve ever met a Kentuckian, you’ve probably heard their favorite statistic more than once, that 95% of the world’s bou rbon is made in Kentucky. They’ll usually go on to add that they don’t know who makes the rest of it, but that they don’t drink it. This tidbit coupled with a mention of Kentucky basketball, bluegrass or horse racing tends to come out in the first two minutes of meeting a member of the Commonwealth; they’re like vegans… or CrossFitters. Thanks for sharing, Maggie! Hope my KY passport isn’t revoked! Oh heavens no! 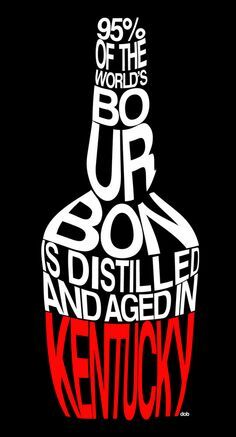 While I certainly don’t agree that bourbon and Tennessee Whiskey are the same thing, you make a valid point. Tennessee whiskey SHOULD have a different definition. If they’re not careful they’re going to mess it up for everyone!